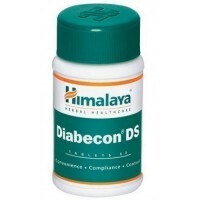 The factors that can cause diabetes are severe: excessive intake of food that is different to digest, overweight, overeating of sugar, refined carbohydrates, proteins, and fat can lead to diabetes. 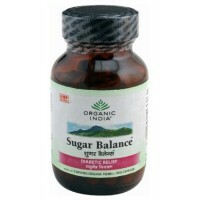 Some other factors like lack of exercise, mental stress or excessive sleep increase the risk to develop diabetes. 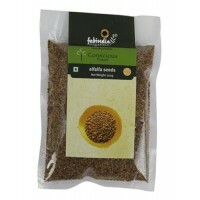 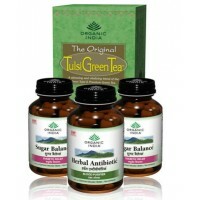 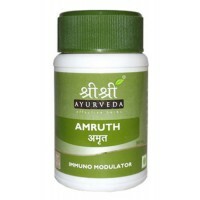 Ayurveda knows different types of diabetes which lead untreated to diabetes mellitus. 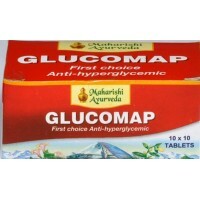 Diabetes Mellitus is a disease that, if not treated in time, lead to several serious complications in the body. 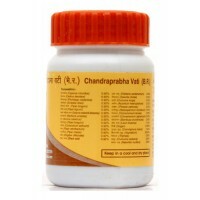 The patient can develop eye problems, coronary heart diseases, kidney damage, nerve damage (neuropathy), sexual and urologic problems, joint problems and indigestion. 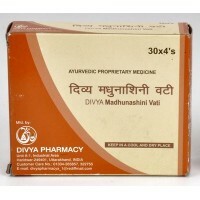 In the ayurvedic treatment of diabetes a change of diet and lifestyle is essential but also there are herbs supporting the treatment. 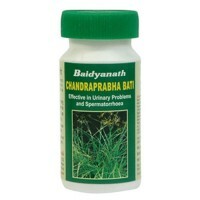 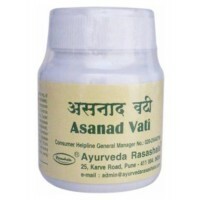 Ayurveda Rasashala - Asanad Vati 60 Tablets A proprietary Ayurvedic medicine from Rasashala tha..
Charak - Hyponidd 2 x 30 Tablets Indications: Borderline diabetes, [Impaired Gl..
Divya Patanjali - Madhunashini Vati 120 Tablets A very effective Herbal medicine to control dia..
Himalaya Herbals - Diabecon 60 Tablets Increases the peripheral utilization of glucose. 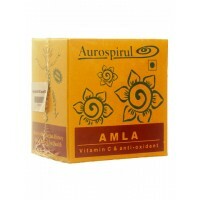 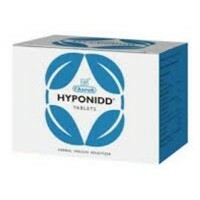 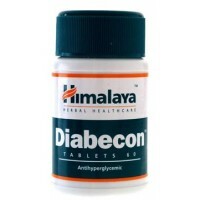 Diabeco..
Himalaya Herbals - Diabecon DS 60 Tablets Increases the peripheral utilization of glucose. 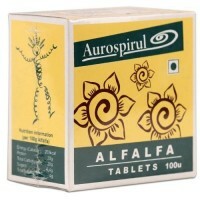 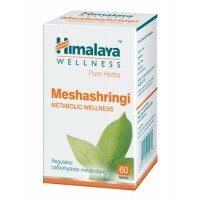 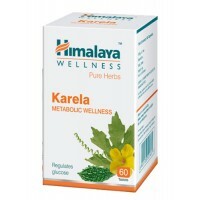 Diab..
Himalaya Herbals - Karela 60 Tablets Also known as Bitter Melon - Karela is an ayurvedic key he..
Himalaya Herbals - Meshashringi (Gymnema Sylvestre) 60 Tablets An ayurvedic pure herb extract t..
Maharishi Ayurveda - Glucomap 100 Tablets An ayurvedic formulation that has been shown to have ..